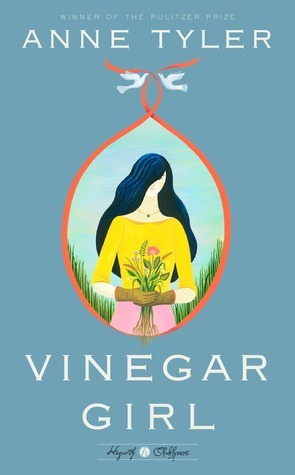 Anne Tyler has a new book just released: Vinegar Girl. Billed as a modernized retelling of Shakepeare’s The Taming of the Shrew, Vinegar Girl is the type of quirky love story readers expect from Tyler. It’s been many years since I’ve read a novel by this author, but I’ve enjoyed her writing in the past and was hooked by the premise, so I was very pleased to receive this from Netgalley for review. Kate Battista is a socially inept lonely woman living in her childhood home with her distracted, neglectful scientist father and her significantly younger teenage sister, Bunny. Kate’s mother died when Bunny was a baby and Kate has essentially raised her, but now is baffled by how teenager-hood has made the girl stupid. Kate is not stupid; she’s exceptionally bright. However, she is abrasive and was expelled from college for insulting a teacher. She now teaches at a preschool. The kids love her. The parents do not. And administration is on the fence. So, things are not great for the protagonist. Then her father drops a bombshell. He tries, ineptly, to fix her up with his lab assistant. Pyoder Cherbakov is a brilliant scientist who is in the country on a special visa. He is allowed to work in the U.S. for three years and those three years are nearly up. To keep him, Kate’s father has decided Kate should marry him. At first, Kate is annoyed and hurt. Her father cares nothing for her, only for his work. And Pyoder is too foreign. She doesn’t get him at all. She refuses to go along with the plan. Then Pyoder starts to woo her. Their odd personalities mesh. Kate is humanized as she grows to understand him. This is a charming, amusing story that reads very quickly. The relationship to The Taming of the Shrew seemed fairly superficial, but that’s fine because the story works very well in its own right. Tyler gets into Kate’s head and Kate is able to interpret the "whys" behind her father’s boorish behavior and Pyoder’s confusion and brusqueness. Tyler even shows us there is more than one side to Bunny. However, even though things work out for the characters, there isn’t a whole lot of depth of emotion. The characters end up in a good place, it seems, because their expectations were low to start out. Hurray! Hadrian and Royce are back in the third novel of the Riyria Chronicles, the prequels to the Riyria Revelations by Michael J. Sullivan. I’ve been waiting a long time for this, as well as Sullivan’s next fantasy epic, The Age of Myth. The Death of Dulgath picks up three years after The Rose and the Thorn. Hadrian and Royce, criminals for hire, are making a living, more or less, in their chosen field. Partners in crime, they rely on their friend Viscount Albert Winslow to scare up lucrative jobs that keep them from petty thievery. This newest assignment is unusual to say the least. The Earl of Dulgath, one of the oldest noble families in Avryn, has died, leaving only a daughter to inherit. Someone is trying to kill her. A skilled assassin, Royce is hired not to kill Lady Dulgath but to inform her protectors how he would do it if it was his job. They want to use the information to help guard their charge. The money is promising, so Royce and Hadrian set off for a far-off corner of the empire, ostensibly to save an innocent woman’s life. Of course, things are more complicated than they seem. While engaging in their typical banter, exasperating one another as their friendship continues to grow, Royce and Hadrian meet the lady in trouble as well as an old acquaintance of Royce’s from his criminal guild days, a feisty female performer named Scarlett Dodge. Hadrian is impressed. Scarlett is even more determined to protect the lady than they are. Strangely, Lady Dulgath is unconcerned with the assassination attempts. She seems more interested in Royce. Who is Lady Dulgath? And how does she know so much about the stranger who is NOT supposed to kill her? Naturally, danger surrounds the heroes as they sort out who is behind the assassination attempts. It’s no great mystery, but the bad guys still have to be thwarted. The assignment is more difficult than Royce and Hadrian expected. 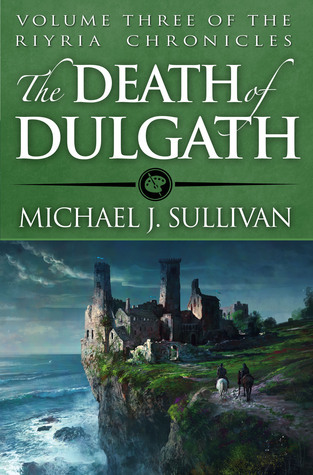 Like the other Riyria books, The Death of Dulgath is wonderfully entertaining. It isn’t as complex or thrilling as the first three (Revelations), but, like the other prequels (Chronicles), it fills in backstory in this fascinating world. And watching the relationship develop between Royce and Hadrian never grows old. This series is highly recommended, and I can’t wait to start The Age of Myth. 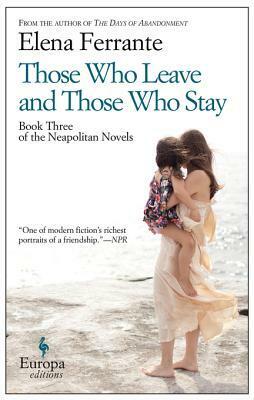 I decided to treat myself and take up the next installment of Elena Ferrante’s Neopolitan novels: Those Who Leave and Those Who Stay. Once again, I was caught up by Ferrante’s amazing writing and the way she can pull you in to the story of two women bound in a pathological friendship. Lila is the brilliant friend, the one who stayed. Despite the violence and poverty of the surroundings in the old Naples neighborhood, Lila seems to draw her strength from her roots. Lena has always been desperate to leave. 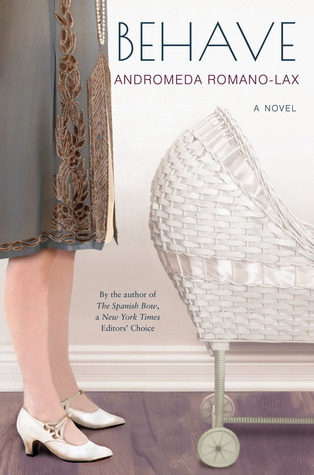 Finally she does: furthering her education, marrying a quietly intellectual professor with a job in Florence, and publishing a novel that catapults her to literary acclaim. Acclaim that is, unfortunately, fleeting. Whenever Lena’s star rises, Lila appears to fall apart. When Lila finds her footing and shows signs of success, Lena becomes enmeshed in a domesticity that she finds unbearably stifling. She fights against it, embraces it, and fights it again in ways that are self-destructive but unavoidable. The two women continue to compete, although without admitting to each other they are competing. Lena is frustrated by the dishonesty between them, but is no more able to bridge the widening gap than is Lila. The ongoing jealousy each feels, Lena’s frustrated sense of inferiority despite having achieved goals they had set for themselves as girls, Lila’s alternating strength and fragility, are all depicted with a beautiful, flowing narration that is heartbreakingly real and immediate. As in previous books, the women are situated squarely in the midst of the turmoil of their times (1960s and 70s, Italy). They are sometimes involved in the political upheaval and other times divorced from it. Ferrrante’s ability to give the reader a taste of all that is swirling around her characters without letting the political discourse take over the novel is masterful. I can’t put my finger on exactly what makes these books so superb, but I’m anxious to read the fourth and final installment. Start with My Brilliant Friend and then The Story of a New Name. My one-word descriptor for this book would be long. Long is not necessarily bad for historical fiction. However, this long novel had a slow start and it read even longer than it was. Still, I’m glad I stuck with it because it did eventually pick up. Part of my difficulty may have been unfamiliarity with the politics of the time period in this particular region. I’ve heard of Vlad the Impaler. With my irrational fear of vampires, I’m aware of the theory that the legend of Count Dracula was born out of the true life story of a particularly brutal Romanian count, Vlad Draculae (Vlad III). But aside from that tenuous link, I knew nothing of Vlad’s troubled reign or conflicts with the Ottoman Empire. 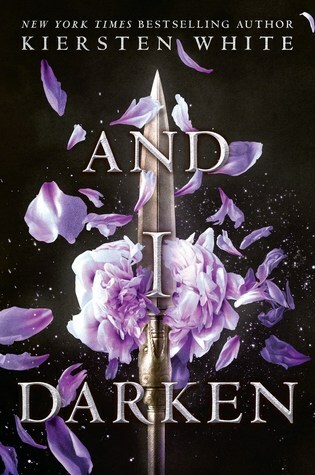 And I Darken by Kiersten White is a decidedly a-historical novel that follows a very rough framework of the life of Vlad III, one which asks the question: what if Vlad had been female? Because I was expecting more of a historical fantasy, I requested the book thinking it would be a mix of fantasy elements in an exotic setting with an anti-heroine--a brutal princess who did (possibly magic-related) things to gain power and then rule. In that more fantastical realm, I could have envisioned a female Vlad the Impaler-like character. But that was not this book. This was the story of the historical character Vlad made female and named Lada. (While reading this, the question that sprang to my mind was not what if Vlad had been female but, rather, have we really run out of interesting female characters from history to write novels about? Why take interesting male historical figures and rewrite them as females? 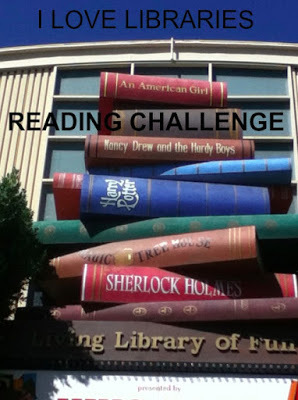 Are male heroes uninteresting to readers simply because they are male?) I know the trend is to make female protagonists more violent and thus more self-sufficient and interesting, but the female heroines are all starting to blend together. So is the answer increasing the cruelty? Lada (the female Vlad) will stand out because she is not simply violent but notoriously brutal. Keep in mind, this novel is getting many strong positive reviews, so you may find you love the book. 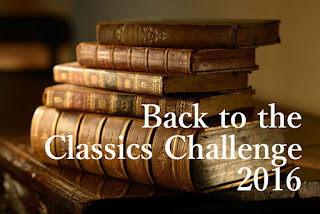 My dissatisfaction stems largely from a very subjective preference for historical accuracy in novels (unless they are romances), even while understanding that these books are fiction, so some liberties are needed. But the core of this novel, the whole plot, is based on Lada being female. The blurb promoting the book is clear on that point so it’s my own fault for not being able to accept the clearly advertised premise. So, the story. It begins with the miserable childhood of Lada, a princess of Wallachia. Her father doesn’t appreciate her because she’s a girl, so she spends all her time in violent, cruel pursuits, mimicking him, to get his attention. Her younger brother, Radu, is weak and desperate to please. She sees him as her property, so she protects him from others, though she is as nasty to him as she can be. Establishing all this takes quite a while. 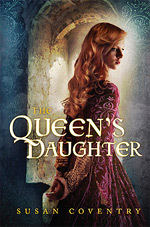 Life takes a turn for the worse when her father needs the help of the Ottomans. He leaves his two young children with the sultan as hostages. There they are even more miserable until they meet the young son of the sultan, Mehmed. The three become fast friends. As they grow up, Lada and Radu help conspire to make Mehmed the powerful wise sultan they know he has the potential to be. There’s a good deal of palace intrigue. Lada trains with the Janissaries (an elite army of Ottoman slave/soldiers.) Radu studies Islam and converts. Much of this reads as filler, setting the stage for the action that will eventually happen. Its important background to support what will come next, but the pace was slow. Over the course of years, Mehmed falls in love with Lada. Lada returns his love but refuses to admit it, because the goal she has set for herself is to return to Wallachia to take possession of what she feels is hers. Radu falls in love with Mehmed, but this sort of love is forbidden so he has to pretend his feelings are no more than friendship and intense loyalty. Eventually, after some battles, more intrigues, some deaths, the three friends have to make hard choices about what means the most to them and what they will sacrifice to reach their individual goals. I did google Vlad the Impaler, Mehmed the Conqueror, and Wallachia in order to have some historical context. 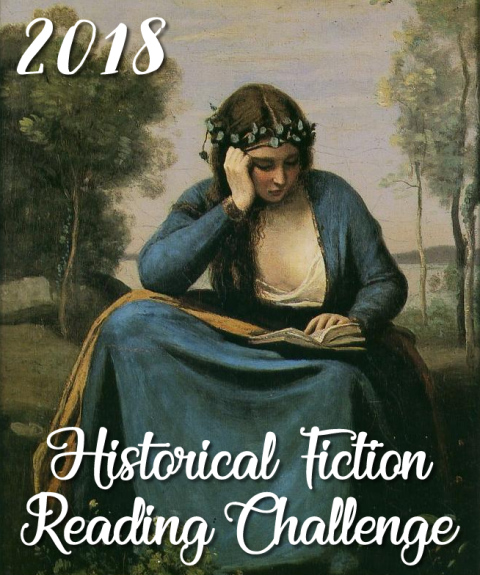 Despite the lengthy set-up, the book itself didn’t situate me in the setting the way other historical novels set in unfamiliar times/places generally do. Perhaps it’s because I knew the centrally important character’s conflicts would be fake (historically speaking). I found myself unable to guess what was supposed to be sort of historical and what was just made up out of whole cloth. Googling helped me to see that the author does use a lot of the names of actual historical people. And some of the timeline is borrowed from history. And while that made me think there was an interesting framework for the story, I was never able to really immerse myself in this alternate history. Seeing the story reframed as that of dysfunctional families and a tortuous love triangle made this a frustrating read for me. I kept thinking how much more interesting a story of the real Vlad would be. It isn’t that it’s a bad story or an uninteresting one. It’s simply that for me, it didn’t click. I think I would have enjoyed it more had the author divorced it from Vlad the Impaler and set the whole thing on a fictional stage in a made-up world. Then I could have enjoyed the story for what it was rather than being frustrated by what it was not. 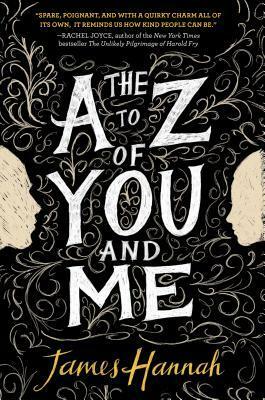 The A to Z of You and Me by James Hannah is a difficult book to put down. There is a question mark at the heart of the story, and even when you start to anticipate the painful answer, the story draws you on. Ivo, the forty-something protagonist, is in hospice care, dying of kidney disease. He’s a longtime diabetic who was poorly compliant with therapy. Moreover he drank heavily, smoked, and abused drugs. He had been a bratty kid, a smart-mouth all through school, and he eventually got a job in a local Garden Center. He has a true love of flowers and gardening, but never had the ambition or stamina to go through with his studies to be a garden designer. Hannah manages to make this difficult protagonist a thoroughly sympathetic character. As he slowly fades, suffering through all the indignities of a painful, lonely death, estranged from friends and family, he is tended to by a kind, caring hospice nurse who tries distracting him from his misery with a game: he is to name a body part beginning with each letter of the alphabet, and then think of a story to go along with it. This game provides a framework for each of Ivo’s memories. His thoughts carry the reader back and forth through time, with each recollection revealing a little more of Ivo’s past. One bright spot in Ivo’s life was his great love, Mia, a nursing student/nurse who couldn’t bear to see what he was doing to himself. It’s frustrating watching Ivo desperately wishing he could do the right thing, to hold onto Mia, while at the same time being unable to break away from his destructive behaviors and the unthinking friends who are just as miserable, just as destructive, but not diabetic. The characters are realistically portrayed with all their warts. This heartbreaking story is beautifully told. If you like this novel, you may also like The Care and Handling of Roses with Thorns by Margaret Dilloway. In 1897, Anita Hemmings begins her senior year at the exclusive, all-girls Vassar College. During her first three years, she distinguishes herself by academic achievement and participation in many extra-curriculars, as well as being known as one of the great beauties of the school. What her classmates and professors don’t know, however, is that Anita Hemmings is African-American. She is the granddaughter of slaves. She and her brother Frederick, both brilliant, hard-working scholars, are light-skinned enough to "pass" as white. Frederick is attending M.I.T. as a black man. Because Vassar does not admit African-Americans (and would not until the 1940s), Anita applied and was accepted to Vassar as a white student. Despite her successes, Anita has kept a low profile. Attending Vassar was her lifelong dream, and she knows if she’s found out, she’ll be dismissed. So far, so good. But this is her senior year, and Anita is about to risk all. The school’s most flamboyant heiress, Lottie Taylor, is without a roommate and is assigned to room with Anita. Nervous at first about rooming with the insanely wealthy, rule-flaunting Lottie, Anita is soon seduced by the lifestyles of the rich and famous. Lottie craves an appreciative audience, and Anita is bowled over by the generosity of her new roommate, and by the promise of so much fun. Warned repeatedly by her brother not to risk mixing with the hoity-toity, especially with wealthy men, Anita can’t help jumping in feet first. Not only does she begin rubbing shoulders with high-society folk in New York City, but she also falls in love with a Harvard man. It’s only a matter of time before the carefully constructed life she leads at Vassar is threatened. I had a mixed reaction to the book. 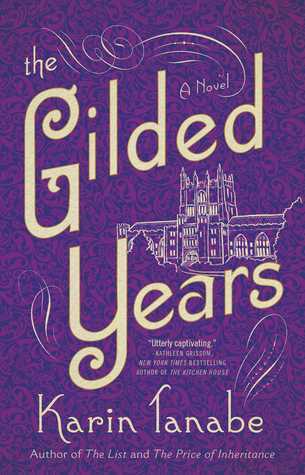 The novel paints a detailed picture of the social life and day-to-day routines at turn of the century Vassar and in Gilded Age New York. It addresses issues of inequality and the psychological stress of passing for white. However, it seemed that while the issues were obvious, they were glossed over in the effort to portray the thrilling life of wealthy Vassar students. The book succeeds at showing society girls at a school that catered to them, a school that is renowned for also providing quality higher education, but the frippery overshadowed the more interesting part of the story. So much time was spent describing the social events of the school, the pampering they received as privileged young ladies, the lengths they went to in order to obtain dates with Ivy League men, that the book seemed more a celebration of Gilded Age values than a book exploring issues of race. There was so much detailed description of the trappings of wealth that I trudged through lengthy portions of the book. 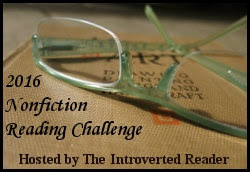 The conversations were stilted, particularly at the beginning of the book where characters spoke at each other in order to heap backstory and explanations on the reader. Lottie was an unpleasant character, recognized as unpleasant even by her friends. Anita’s somewhat desperate desire to remain in Lottie’s favor and the excuses she makes for her wealthy friend seem both naive and opportunistic. I suspect the lavish displays are to help us understand Anita’s longing to be part of the world, but it made some of her protestations that all she wanted was a first class education ring hollow. Years ago, I read The Immortal Life of Henrietta Lacks by Rebecca Skloot, a fascinating book that really drove home the importance of Institutional Review Boards and Human Subjects Protection Training. Although I believe most physician/scientists truly have the patients’ best interests at heart, there is no denying that horrors have occurred, whether out of ignorance or self-interest on the part of the researchers. A new novel by Andromeda Romano-Lax has just reinforced this message. Behave is told from the point of view of Rosalie Rayner, the graduate fellow, illicit lover, and eventually the second wife of behavioral psychologist John B. Watson. Loosely based on true life events (there are few historical documents to record Rosie’s thoughts, but the author fills in the blanks believably and poignantly), the novel follows the life of this young woman who wanted so badly to make her name in the world, yet yielded her entire life to the mentor she worshiped. John Watson was a serial philanderer who made a habit of seducing students, nurses, anyone of a lesser status who crossed his path. He married one of his graduate students when the situation demanded it, then promptly crushed her spirit and blamed her for the failure of their marriage. Enter Rosalie Rayner, a promising Vassar graduate majoring in psychology, who happened to be beautiful and willing to compromise ethics and morals. She was Watson’s perfect prey. Similarities between this novel and the lovely and sad The Atomic Weight of Love by Elizabeth J. Church include the seemingly intelligent, attractive female student falling for her professor on account of his brilliance, and, given the times, the almost inevitable sacrifice of self that the relationship required. However, if physicist Alden Whetstone seemed aloof, selfish, and clueless, he’s a prince compared to John B. Watson. Watson is known for his premier work in behavioral psychology–work done before he was repeatedly fired from university positions for sexual peccadillos and his refusal to take responsibility for his mistakes. His work is appalling to consider. He experimented on babies without parental consent. In particular, he was responsible for the "Little Albert" studies, a flawed exploration of fear and aversion in infants where one baby’s actions was extrapolated to serve as the basis of a new guide to raising children, one that was essentially a recipe for neglect if not outright abuse. Sad to say, Rosie was pushed into following the prescription to raise her own children, to everyone’s detriment. Rosie’s desperate voice, her naivete, her passivity, her need to please, her disregard for Watson’s first wife and delusion that he would treat her differently, carry this novel forward like a train speeding toward derailment. Readers will cringe at Rosie’s actions, while acknowledging the unfortunate realism of the situations. Although at times painful to read, the novel is well worth the effort. Just as Dr. Watson epitomizes bad science, Rosie is a splendid example of what ambitious, vulnerable young people should never do.